It is our event, as we are all men of destiny. Therefore, let us publicise this as much as possible. Invite friends, colleagues, neighbours and well wishers. Let us together as men, impact the world. 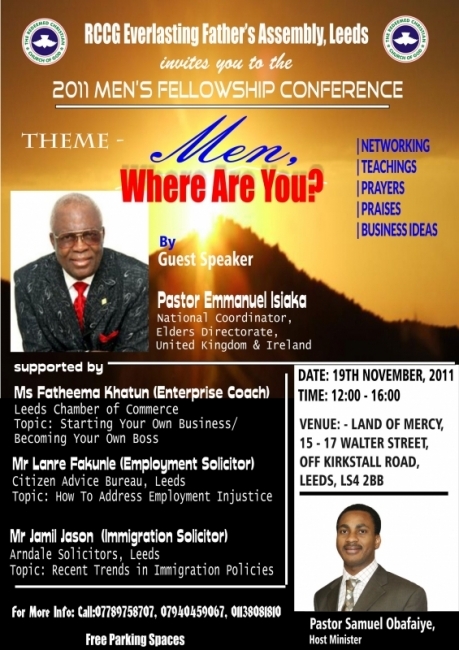 RCCG EFA Leeds Men's Fellowship: A people with passion, zeal, power and burning desire to raise future leaders to serve God in this generation and expand the kingdom of God here on earth.